What should I eat to make sure my baby is born healthy? If my baby has a fever, what medicine can he have? Why should I read to my infant? How do I take care of a daughter with asthma? These are questions new parents ask themselves. It's difficult to find answers or even know where to look. They are just trying to keep up with school or pick up extra shifts at work while getting ready to take on one of life's biggest challenges: being a parent. Parenting is difficult for everyone. I know how much my wife and I work each day to make the best choices for our daughters. We are lucky to have people in our lives that we can go to for advice, but many young families don't have anyone to turn to when things go wrong. And when things go wrong, they can go really wrong. Our infant mortality rate in Hamilton County is devastating. According to 2010 statistics, the rate here is more than 60 percent higher than the national average. At 9.7 per 1,000 births, we actually have a higher infant mortality rate than many countries, including Russia, Lebanon, Serbia, Ukraine -- the list goes on. On top of that, about 1,000 out of the 4,000 babies born in Hamilton County every year are at risk to not be ready for school. Single parents, low educational attainment by a parent, teen pregnancy -- these factors often result in a struggling family. Chattanooga has sub-regions where over 75 percent of births are to a single mother, over half are born into poverty, and almost 20 percent are not born at a healthy weight. While Chattanooga boasts a number of agencies teaching parenting and developmental skills, the need is still great. That's why the city is partnering with area nonprofits and the medical community to institute a Baby University. Through this initiative, we will provide parents the knowledge they need to keep their newborns healthy and happy, prepare expectant mothers and fathers to be a child's first teacher, and ensure our young people grow into productive adults. Last week, I met with new moms and elementary school teachers to hear their everyday challenges. New mom Sarah talked about how hard it is for her to discipline her child because she suffered from abuse when she was young. Another mom admitted her concern when I asked what she is doing to prepare her son for kindergarten, saying, "You want to help them. You have a beautiful baby, and you know they are depending on you, but you just don't always know what to do." I listened as teachers explained the effects this lack of knowledge has once the child gets to school. One teacher from Hardy Elementary said many parents think kindergarten is playtime, but the standards have changed and kids need to come to pre-k with basic language and learning skills. The stories from these educators and moms bear out what we know from research. Success for students starts long before they enter school, with over 80 percent of brain development occurring between birth and three years of age. We also know an investment in early childhood learning pays for itself down the road through lower incarceration rates, a better-skilled workforce, and less strain on our health care system. These discussions only reinforced my commitment to support Chattanooga's children from the cradle to career. Over coming days, city leaders, including Coach Lurone Jennings of Youth & Family Development, will work with an advisory committee to determine next steps for Baby University. Drawing from successful programs in other cities, we will utilize volunteers and leverage private investment to ensure a critical focus on medical well-being and child development. By providing parents the skills and resources to be an educator in the home, the city will invest in parents and newborns. Not only will this investment improve lives today, it will pay dividends to Chattanooga for decades to come. 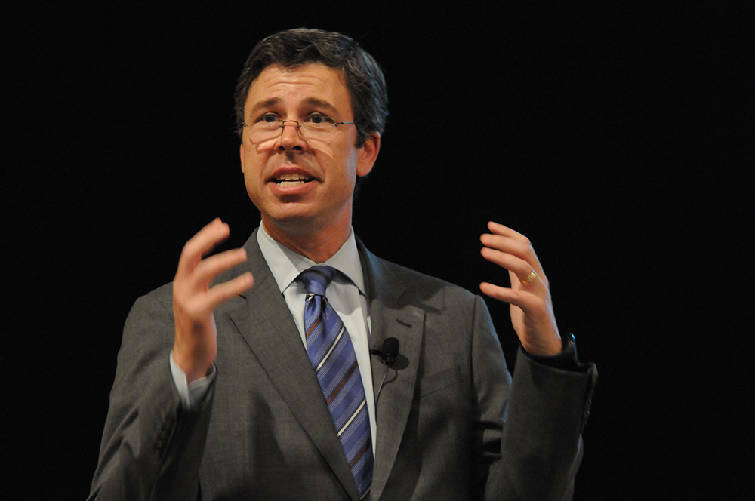 Andy Berke is the mayor of Chattanooga.